Considered as one of the oldest and largest National park in the country, Tadoba National Park lies in the Chandrapur district of Maharashtra. 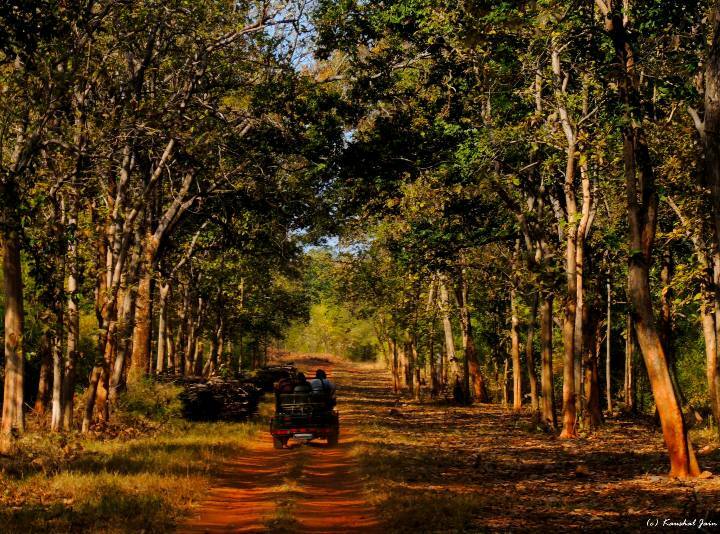 Commonly abbreviated to TATR, this tiger reserve is a combination of Tadoba National Park and Andhari Wildlife Sanctuary. In 1955 it was established as a national park and later in 1995 as a Tiger reserve. The name ‘Tadoba’ is the name of the God ‘Taru’ who is worshiped by the tribal people who live in the dense forests of this area. The Andhari River which flows through the forest gives the name Andhari. Earlier the kings of Gond ruled this forest area near Chimur hills. The Gond fort is situated in Chandrapur area. The total area of under the Project Tiger is 1727.6 sq.kms with core area of 625.82 sq.kms and buffer area of 1101.78 sq.kms. Tadoba National Park is closed every Tuesday, whereas the park remains closed during monsoons but the buffer area remains open for tourism. The peak season for visiting Tadoba National Park starts from October 15th to 30th June every year. Pick up from Nagpur/Chandrapur at 10:00 am and transfer to Tadoba national park in private car. Reach Resort by 1:00 pm. Check in and rest. After Lunch Gear up and Leave for 1st Wildlife Safari. Evening Back to Resort. Dinner. Lights off and day ends. Early Morning Leave for 2nd Wildlife Safari. Back to Resort and have breakfast. Alternatively you may carry your breakfast on safari only to save on safari time. Post safari back for Lunch. After Lunch Leave for 3rd Wildlife Safari. Evening Back to Resort. Dinner. Lights off and day ends. Have breakfast, Check Out luggage. Leave For Chandrapur/ Nagpur junction/airport by Private Vehicle. All forest permission and guide charges. Anything not mentioned in the inclusions list; e.g. Train/ Air travel, Personal orders, Camera charges etc. TATR forms an excellent tiger habitat. 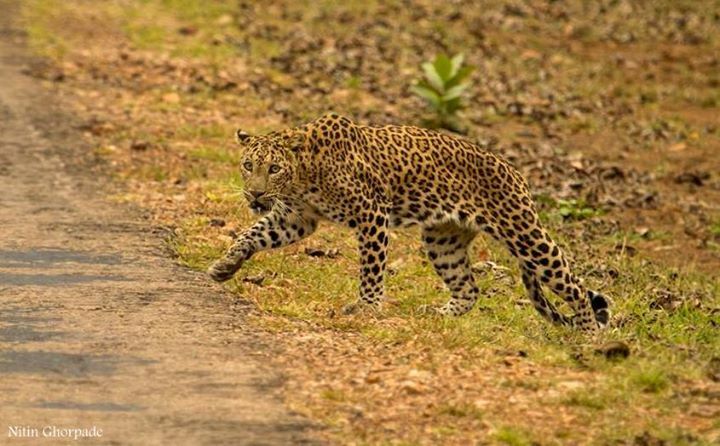 But other than this big cat Tadoba is home to another elusive cats i.e Leopards, Jungle cats, Rusty spotted cat and leopard cat. Other carnivores include Wild dogs, Jackals, Hyena, wolves and fox. Deers are found in abundance, sub species being spotted Deers, Sambar deer, barking deer. Nilgai and Chinkara are the antelope species found here. Other than these mammals Gaur, Wild boars, Langurs, Rhesus Macaques are seen. Another famous mammal the Sloth bear is frequently sighted here. Tadoba has rich bird life with numerous resident and migratory bird species. Around 195 species of birds are found here. The lakes and river in and around Tadoba are home to various water birds. Some common birds like Indian peafowl, Drongos, Green bee-eaters, Lesser golden woodpecker, Indian pitta, Barbet and so on. 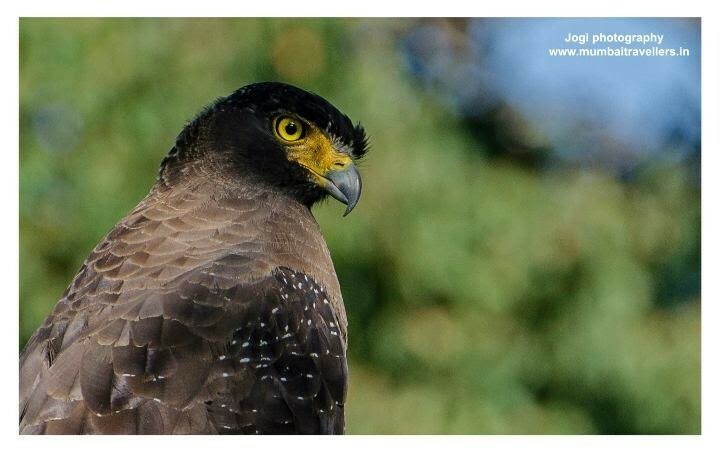 Raptors like the Crested Serpent Eagle, Changeable Hawk Eagle, Grey headed fish eagle are also sighted. SHIVAJI : Considered one of the huge tigers in the country and named after the great Maratha warrior Shivaji. This male was first sighted in January 2006 and is about 14 years old. His territory lies in the Kolsa region of Southern Tadoba and is considered as the dominant male of the region. WAGDOH : Wagdoh male is a massive tiger also called as Scar-face due to the scars it obtained during the wrestling with a male gaur. During this fight he also lost a right eye. Though very ferocious this male is known to be very caring and has nurtured its own litter of cubs after the death of his mate. It was first sighted in July 2002 is about 14 years old. His areas lies in Mohurli range from Waghdoh area, Telia Lake up to tank 2. 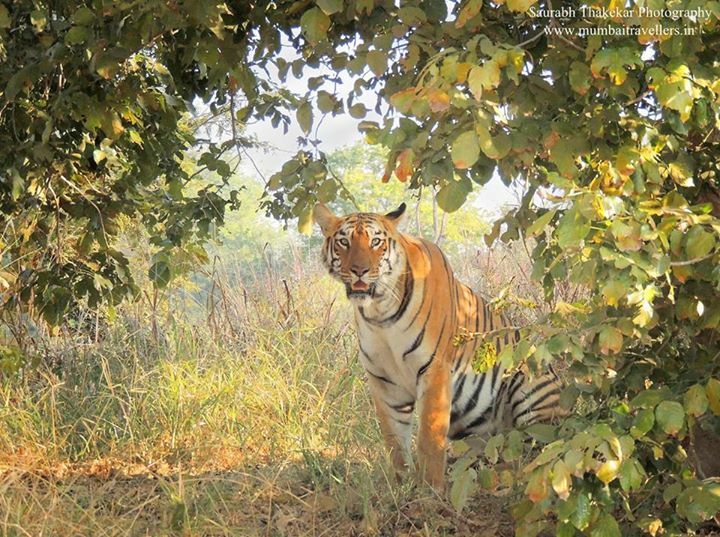 MAYA : The most commonly seen and most famous tigress is extremely beautiful and vivacious tigress of Tadoba. First sighted in 2010 this beauty is 6 years old and has started her own family and given birth to 3 cubs in 2016. TELIA SISTERS : The four females of telia are world renowned.These sisters at one time lived together hunting in ambush. Sonan, Lara, Tara and Geeta. 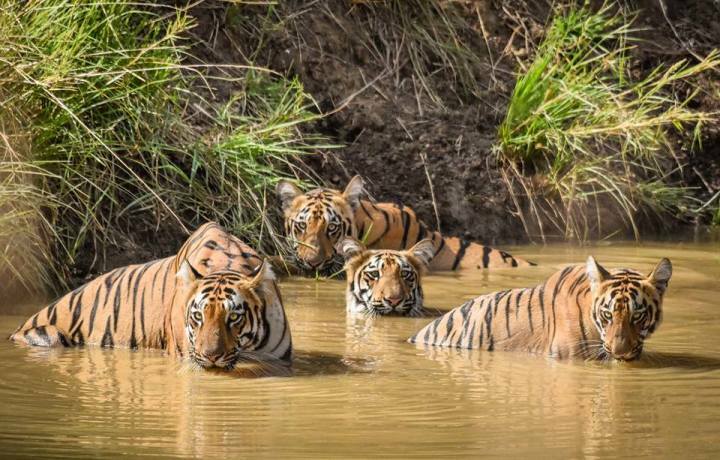 Their mother Madhuri is famous tigress of Telia Lake. All the 4 telia sisters have now formed their own territories and mated to give births to their own litter of cubs. There are six gates through which one can visit/take a safari in TATR. The entry has to be registered on the gate and a prescribed charge has to be paid. There is a limit set for the numbers of jeeps that can enter the park hence the gate entry booking has to be made in advance. A park guide has to accompany the jeep as a regulation and a fee paid for this service. The gypsy charges are different and has to be paid separately. The tourists are not allowed to get down from the vehicle throughout the safari. A set of rules and regulation exists for tiger safari and the park guide is aware of that. One has to follow his instruction in order to abide with the regulations. Large number of options are available for accommodation. Right from budget stay to 4 star luxury resorts are available for tourists. 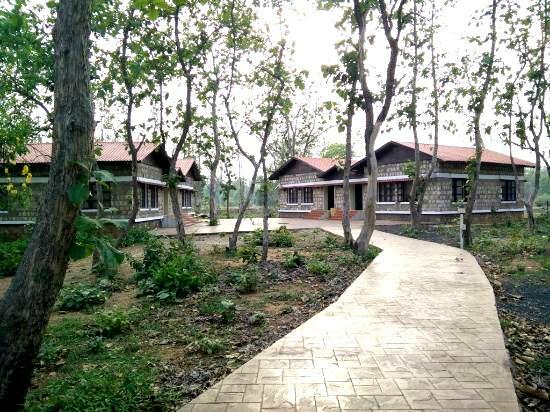 The forest department dormitories and tents are also available. Budget hotels: MTDC resort, Tadoba Tiger King Resort, United-21 resort etc. Luxury hotels : Svasara Jungle Lodge, Camp Serai, Irai Safari Retreat etc. Summer are hot and dry from March to June with temperatures ranging from 30-45 degrees. Winters are soothing and cold from October to February with temperature dropping as low as 9 degree Celsius. June to September one can witness monsoons with rainfall of about 50mm.